RiSE is pleased to announce the 2018 RiSE Scholarship Foundation, Inc. Award Winners! Thank you all for applying and sharing your story of personal growth and strength. We wish we could award each applicant, as you all are amazing! Drum roll……. These are the 5 RiSE Award Winners for 2018! These students will receive $2500.00 paid to the College they attend in the fall of 2018. Please read about these terrific and soon to be graduates!! Congratulations! 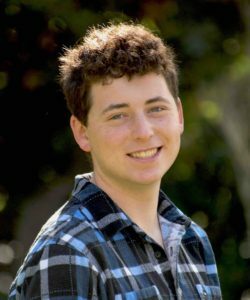 Although Shawn received his diagnosis of an LD early in his life, Shawn struggled with changing schools and balancing his diagnosis of Central Auditory Processing Disorder and Inattentive ADD during middle school. He fell behind and found it difficult to keep his sports, grades and social life together. After becoming self aware that he had to give it his all as a sophomore in high school, he began to volunteer. Helping his community made him feel more like himself, he enjoyed making a difference and enjoyed helping others. He did this for the Boys and Girls Club and traveling to a different community to get out of his comfort zone. This addition to his schedule when he was able to fit it in humbled him and also boosted his confidence. It showed him his ability in leadership. With positive experiences such as this he was asked along with 23 others to attend a Rail Camp for students that were interested in Railroad Transportation Engineering and he found his fit. 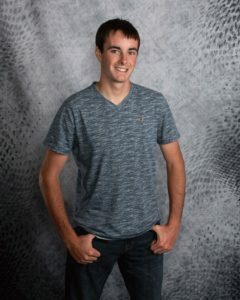 After finishing his senior year , he will attend Penn State Altoona to pursue a degree in RTE ( The only school in the country with this degree). Congrats Shawn!! Lauren was diagnosed with Central Auditory Processing Disorder at 5 and as a therapeutic approach of repetition and following directions her family decided figure skating would be helpful. Many therapists do use sequencing to exercise listening “muscles” and this activity did just that. Today, Lauren is on the ice more than 20 hours a week often training with Olympic trainers. She has started a business for fashion and beauty and is able to attend school as well as take some classes online to keep up with her busy life. She maintains her diagnosis is a challenge but not a liability and that the challenge has made her into the woman she is today. 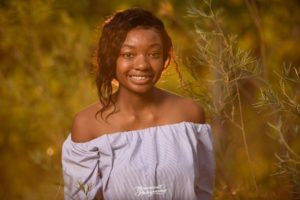 She is looking forward to studying business as a major in the fall at a school that has student support services and we at RiSE cannot wait to watch her progress! Ben Goldstein, (see the surfer on the website landing page)! What a terrifically talented surfer with a stand out charismatic personality! Ben Goldstein is dedicated to all he takes on. He is a musician, filmmaker, and terrific student. As much interest and motivation as he had, as Ben entered his AP classes in high school he had self diagnosed himself as a “slow reader”. The large amount of course work to keep up made it more noticeable and he took it upon himself to find out the reason why. He decided to speak to his parents and they started the search to find what was causing his eyes to tire easily. They saw a few doctors, but after finding one that was very familiar with this, they discovered Ben had convergence insufficiency. Convergence Insufficiency is quite common but often overlooked with students that have reading difficulties. It can cause headaches, floating words on pages, slow reading speed and other difficulties. It can be helped with vision therapy and home exercises. Ben began to do both of those and even though it was quite taxing on his eyes and energy, he was able to gain 5 years in reading ability in a rather quick time. His reading speed increased and he learned that with patience and practice, he “could overcome any obstacle”. This serves as a great reminder for other’s to have their vision tested if they or their family members are having problems completing work or reading in general. Great work Ben and best to you at Cal Poly and in your surfing career!! Already signed to sail for Connecticut College, Walter has had this passion since age 8. 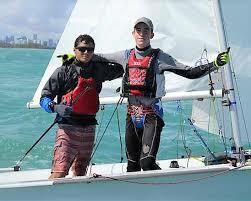 He began sailing and starting competing at age 9. The wind and water have taken him “around the world” meeting people, seeing places that he has read about in his history books and using hands on learning of science and math for gauging winds, speed, meteorology and pressure. He recalls his diagnosis of dyslexia as a child and the hard work, attention he needed to maintain and the focus he had to use in order to stay ahead in his academics. These may have come easier to others, but his discipline of already knowing how to push through helped him on the water. The self awareness helped his sailing and strengthened his character along the way. His Guidance Counselor describes Walter as a gentleman. Polite, patient and humble as well as a natural leader who always appears calm “under pressure”. He has been able to attain academic goals as well as volunteering for his community with disabled students as well as learned about business and grant writing for funding his sailing competitions abroad. Congrats Walter for finding your gift and having the drive to pursue it! As Jesse looks back at his younger years and reading Dr. Seuss, it was difficult for his dyslexic mind. He referred to it as “phenological pole vaulting”. Reading aloud for him was extremely daunting. His fluency was not in line with his success in other academics, which is very common for an LD. He found Bookshare and Learning Ally that helped as well as a school and teachers who were able to support his needs and growth. Fast forward to today, he is a high school senior who is tutoring students to read the same Dr. Seuss material. He may stumble a bit with words moving on the page (common for a dyslexic reader) but he is confident, can even laugh at himself a bit as well as advocate for what he needs in regards to extra time. He has found strategies that can help his executive functioning and ways to set up his own interim deadlines to keep on a schedule for projects. Jesse has put in much effort and maintained a positive attitude according to his Resource Coordinator, Lori Dver. His plans are to attend The Jewish Theological Seminary joint program with Columbia University in New York in the fall and we wish him the best! !